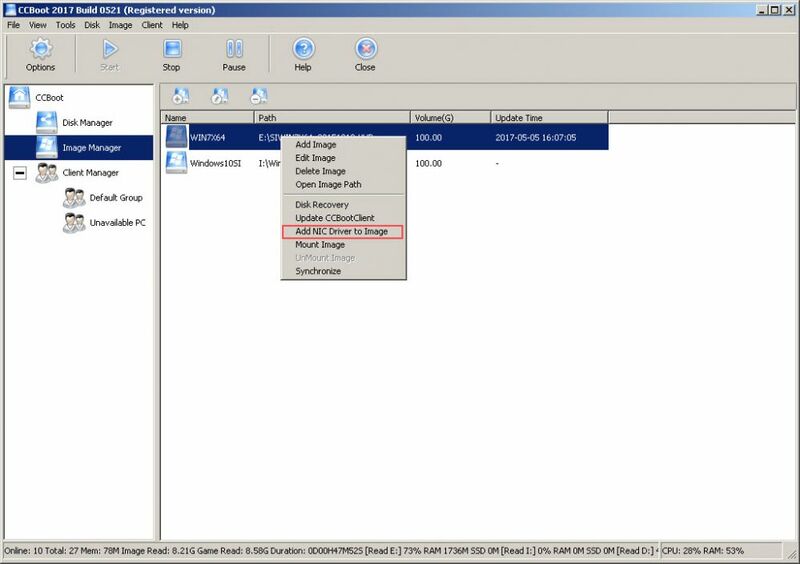 Super Image is compiled with different NIC drivers such as (Nvidia Nforce, Realtek, Marvel, Broadcom, Atheros, Qualcomm Atheros, Rivet Networks, JMicron Technology Corp.,Microsoft, and Intel. Those NIC drivers are compiled using CCBoot PnP. The purpose of using Super Image is to easily deploy CCBoot in multiple client specification with different NIC drivers. So in this method, we will show you how to achieve the fast booting of your client using CCBoot PnP in the CCBoot server. 2. 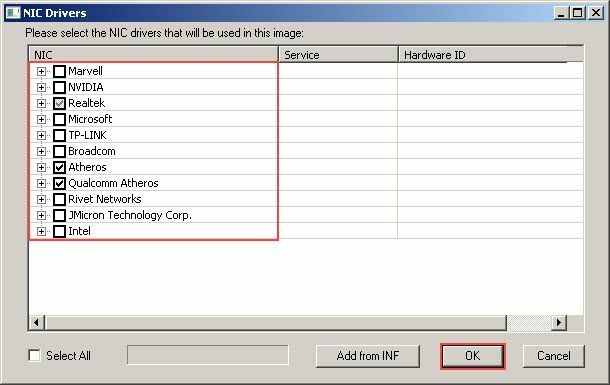 If the Super Image has successfully diskless boot all of your client PCs, you have to determine which NIC driver used by each client PCs. 3. Supposed you are using the Realtek, Atheros and Qualcomm Atheros NIC driver on your client PCs, and then you have to remove other unused NIC drivers.